Big Bang False. Eternal Universe True? Many are those who insist that the Bible has been corrupted over time, that we do not really know which verses belong in the Bible, and that translation errors are so plentiful that we do not have the original message. Yet these allegations have been confronted and refuted time and time again. Apart from the Old Testament (which has been fully verified), a myriad of books over the years have masterfully demonstrated the integrity of the New Testament text, including such volumes as J.W. McGarvey’s Evidences of Christianity, Kurt and Barbara Aland’s The Text of the New Testament, F.F. Bruce’s The Canon of Scripture, Bruce Metzger’s The Text of the New Testament, F.H.A. Scrivener’s A Plain Introduction to the Criticism of the New Testament, Sir Frederic Kenyon’s Our Bible and the Ancient Manuscripts, Benjamin Warfield’s An Introduction to the Textual Criticism of the New Testament, and many others. Those who cast aspersions upon the integrity of the biblical text manifest either abysmal, inexcusable ignorance of the long established facts of the matter or deliberate bias. If the reader desires the truth regarding the authenticity and integrity of the Bible, the evidence is available—if the individual is willing to spend the time and effort to weigh that evidence and arrive at the proper conclusion (1 Thessalonians 5:21; 1 John 4:1). Do we have the message that the original authors penned? The fact is that the books of the New Testament are the most extensively verified books of ancient history. The facts completely undermine and discredit any attack on the integrity and transmission of the Bible. We know how the original New Testament books read because we have three surviving classes of evidence by which to reconstruct the original New Testament: Greek manuscripts, ancient versions, and patristic citations. The current number of Greek manuscript copies containing all or part of the New Testament now stands at 5,795. This amount of manuscript evidence for the text of the New Testament is far greater than that available for any ancient classical author. The time between the writing of the original books of the New Testament and the earliest surviving copies is relatively brief. Although no two manuscript copies agree in every detail, the degree of accuracy achieved by most scribes was remarkably high. The vast majority of textual variants involve minor matters that do not alter any basic teaching of the New Testament. No feature of Christian doctrine is at stake. Suitable solutions to these differences are detectable. Even if they weren’t, manuscript evidence is so prolific that the original reading is one of the extant options. Even those variants that some might deem “doctrinally significant” (e.g., Mark 16:9-20; John 7:53-8:11) pertain to matters that are treated elsewhere in the Bible where the question of genuineness/certainty is unquestioned. 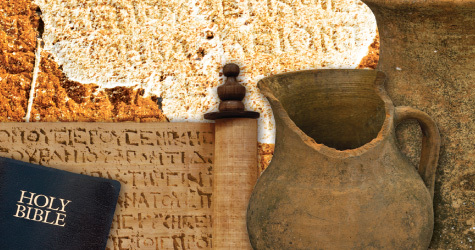 We can confidently affirm that we have 999/1000ths of the original Greek New Testament intact. The remaining 1/1000th pertains to inconsequential details. Additionally, a wealth of ancient versions provides further verification of the purity of the biblical text, including Latin, Syriac, Coptic, Gothic, Armenian, Georgian, Ethiopic, Old Slavonic, and others. Textual critics through history have steadfastly affirmed the value of these ancient versions in reconstructing the New Testament text. For example, Vaganay observed: “After the Greek manuscripts of the New Testament, the versions constitute the most valuable source for writing the history of this text” (1934, p. 28; cf. Vogels, 1923, p. 84—“The versions are very valuable for establishing the original text of the Bible.”). Though noting the limitations, the Alands admitted: “[T]he importance of the versions is substantial” (1987, p. 182). The same may be said for the wealth of textual materials available via the so-called “Church Fathers,” i.e., early Christian writers who quoted, paraphrased, and otherwise alluded to passages from Scripture in their letters, commentaries, and correspondence. This latter source of information is so prolific that Metzger affirmed: “Indeed, so extensive are these citations that if all other sources for our knowledge of the text of the New Testament were destroyed, they would be sufficient alone for the reconstruction of practically the entire New Testament” (1968, p. 86). These contentions have been verified by the greatest textual critics and linguistic scholars of the past two centuries. Their conclusions have not become outdated, but remain as valid today as when first formulated. If the integrity of the text of the Bible was fully authenticated in their day, it remains so today. Consider the following statements by some of these world class authorities. In view of the inevitable accumulation of such errors over so many centuries, it may be thought that the original texts of the New Testament documents have been corrupted beyond restoration. Some writers, indeed, insist on the likelihood of this to such a degree that one sometimes suspects they would be glad if it were so. But they are mistaken. There is no body of ancient literature in the world which enjoys such a wealth of good textual attestation as the New Testament (1963, p. 178, emp. added). The vast number of variations furnishes no cause for alarm to the devout reader of the New Testament. It is the natural result of the great number of documentary sources. A very small proportion of the variations materially affects the sense, a much smaller proportion is really important, and no variation affects an article of faith or a moral precept (1899, p. 7, emp. added). The effect of it has been to establish the genuineness of the New Testament text in all important particulars. No new doctrines have been elicited by its aid; nor have any historical facts been summoned by it from their obscurity. All the doctrines and duties of Christianity remain unaffected.… [I]n the records of inspiration there is no material corruption.... [D]uring the lapse of many centuries the text of Scripture has been preserved with great care…. Empowered by the fruits of criticism, we may well say that the Scriptures continue essentially the same as when they proceeded from the writers themselves (1853, 2:147, emp. added). [O]ne great truth is admitted on all hands—the almost complete freedom of Holy Scripture from the bare suspicion of wilful [sic] corruption; the absolute identity of the testimony of every known copy in respect to doctrine, and spirit, and the main drift of every argument and every narrative through the entire volume of Inspiration…. Thus hath God’s Providence kept from harm the treasure of His written word, so far as is needful for the quiet assurance of His church and people (1861, pp. 6-7, emp. added). With all the kindness one can muster, these eminent, well-studied, competent, peerless scholars, whose expertise in the field of Textual Criticism is unsurpassed, are far more qualified and accurate in their assessment of the credibility, integrity, and authenticity of the biblical text than any alleged scholar or skeptic living today. Truthfully, God knew that the original autographs would not survive, and that His Word would have to be transmitted through the centuries via copies. The transmission process is sufficiently flexible for God’s Word to be conveyed adequately by uninspired, imperfect copyists. Indeed, the original text of the New Testament has been thoroughly and sufficiently authenticated. God knew that the vast majority of the human race could not learn Greek or Hebrew. He knew that His Word would have to be read in translation in the language of the common people. The translation process is sufficiently flexible for God’s Word to be conveyed adequately by uninspired, imperfect translators. While some English translations may well seek to advance a theological agenda, generally speaking, most translations do not differ on the essentials. Most English versions convey these essentials: (1) what one must do to be saved and (2) what one must do to stay saved. As imperfect as translations might be, most still convey this basic information. This fact is verified by Jesus and the apostles’ own use of the Septuagint, the Greek translation of the Hebrew text en vogue in first-century Palestine. Some think this translation was achieved by 72 Jewish scholars who were invited to Alexandria, Egypt roughly two and a half centuries before Christ. Though considered by scholars as an imperfect translation of the Hebrew, most of the direct quotations from the Old Testament in the New Testament are taken from the Septuagint. Hence, the Bible gives implicit divine endorsement to the use of imperfect, manmade translations, further implying that God’s Word has been adequately transmitted down through the centuries via translation. A host of books have been published over the years that discuss principles of Bible translation (e.g., Nida, 1964; Beekman and Callow, 1974; Ryken, 2009; Grant, 1961; et al.). All human languages share in common a variety of linguistic features that may be suitably utilized to transmit God’s meanings. The United Nations stands as an indisputable testimony to the fact that meaning can be conveyed from one language to another. Indeed, messages all over the world are effectively translated into different languages every day. Likewise, the meanings of the words, grammar, and syntax of the biblical (parent) languages of Hebrew, Aramaic, and Greek have been amply transferred to English Bible translations. Even when English translations differ with each other on any given passage, further study will enable the Bible student to ascertain the meaning(s) intended. As with the transmission of the Greek text, the translation process provides the individual with the possibilities when more than one meaning is possible. When all is said and done, one may confidently say that God’s message has been suitably transferred from the original biblical languages into English. All languages are in a constant state of flux. Thus new translations are inevitable and necessary. But though the Greek text has been verified, and though we know that translation can be done accurately, how do we know that today we have God’s Word available since the translating has been done by many different people over several centuries? Answer: Because the history of English translation has been traced and verified. We know that the Hebrew and Greek texts were translated into Latin early on, and eventually began to be transferred to English in the 14th century. The hall of fame of great Bible translators in the English-speaking world verifies the accomplishment of this transference of God’s Word to the present: John Wycliffe, William Tyndale, Miles Coverdale, John Rogers (the Matthew’s Bible), Richard Taverner, the Great Bible, the Geneva Bible, Matthew Parker (the Bishop’s Bible), the King James Bible (1611), the English Revised Version (ERV—1888) and its American counterpart, the American Standard Version (ASV—1901), and the host of English translations that have appeared in the 20th and now 21st centuries (cf. Lewis, 1991). We know the Bible has not been corrupted because we have the English translations generated through the centuries that enable us to examine and verify the text of the Bible. Coincidentally, even if we did not know English translation history, we can take the authenticated Greek text and make a completely new translation in English. The evidence is available and it is decisive. Currently circulating copies of the Bible do not differ substantially from the original. Those who reject the Bible’s divine authority must do so for reasons other than their ability to know what God intended to communicate to the human race. All human beings can know the truth and be saved. All can know that God exists and that the Bible is His Word. All can know that Christianity is the only true religion and that all must obey the Gospel of Christ in order to be forgiven of sin and saved. All can know that we must live the Christian life, worshipping God correctly, and living faithfully to God in daily behavior. Beekman, John and John Callow (1974), Translating the Word of God (Grand Rapids, MI: Zondervan). Ehrman, Bart and Michael Holmes (1995), The Text of the New Testament in Contemporary Research (Grand Rapids, MI: Eerdmans). Grant, Frederick (1961), Translating the Bible (New York: Seabury Press). Lewis, Jack (1991), The English Bible from KJV to NIV (Grand Rapids, MI: Baker), second edition. Nida, Eugene (1964), Toward a Science of Translating (Leiden: E.J. Brill). Ryken, Leland (2009), Understanding English Bible Translations (Wheaton, IL: Crossway). Vaganay, Léon (1934), Initiation à la critique textuelle néotestamentaire (Paris: Blond & Gay). Vincent, Marvin (1899), A History of the Textual Criticism of the New Testament (New York: MacMillan). Vogels, H.J. (1923), Handbuch der neutestamentlichen Textkritik (Munster: Aschendorff).